Mitt Romney’s strong performance in the second Florida debate deprived Newt Gingrich of his last chance to maintain the boost he got from his South Carolina victory. Unless something significant happens before January 31, Romney will beat Gingrich in the Sunshine State by a double-digit margin and regain his standing as the front-runner for the Republican nomination. After a quiet February, he’ll deploy his edge in money, organization, and preparation to defeat Gingrich the way Grant defeated Lee—by inexorably grinding him down. And when he does, the Republican Party will have dodged a bullet, because the evidence indicates that Romney would be a much stronger general election candidate. It also suggests that President Obama faces a tougher reelection campaign than many now think. Consider a January 26 Quinnipiac survey of the Florida electorate, beginning with President Obama’s standing in a state he carried by 3 points (51-48) in 2008. Forty-six percent of registered Florida voters approve of the way Obama is handling his job, while 52 percent disapprove. Forty-seven percent believe that he deserves to be reelected, while 49 percent do not. Given this terrain, whose contours are perilous for the president, the difference between the two main Republican contenders is dramatic. Obama holds an 11-point edge (50-39) over Gingrich but musters only a tie (45-45) against Romney. The crucial different comes among Independents, where Obama leads Gingrich 50-33 but trails Romney 41-42. Forty-three percent of Florida voters rate Romney favorably overall, versus 37 percent unfavorable; for Gingrich it’s 32-50. On the issue voters regard as the most important—the economy—Romney has a 50-41 advantage over Obama (51-40 among Independents) while the president leads Gingrich 47-45 (52-39 among Independents). On what historically has been a key presidential trait—strong leadership—Obama leads Gingrich 51-41 but musters only a statistical tie (46-45) against Romney. And the president’s modest 5-point edge (47-42) over Romney on trustworthiness swells to an astonishing but hardly inexplicable 22 points (57-35) over Gingrich. I could go on, but you get the point: in the largest swing state, Obama is the odds-on favorite to demolish Gingrich but could well lose to Romney. And Florida is no outlier. An average of major national surveys conducted in January gives Obama a modest 2.3 point edge (47.2 to 44.9) over Romney. Against Gingrich, the president’s margin swells to an average of 11.7 points (51.3 to 39.6). Bottom line: while Romney may be able to take advantage of the incumbent’s vulnerabilities, Gingrich almost certainly can’t. 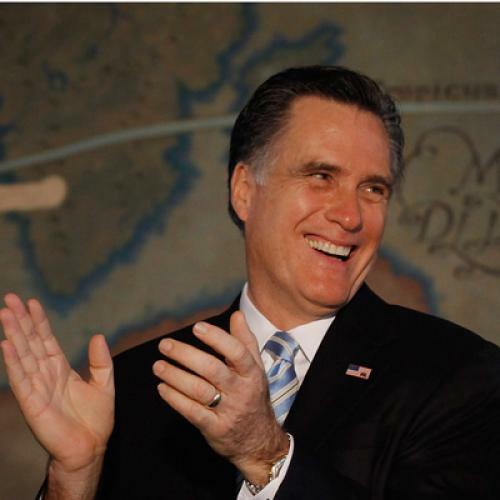 The conventional wisdom is that the Republican nominating contest has already damaged Romney severely. There’s some evidence to support that view. According to the most recent NBC/Wall Street Journal survey, Romney’s unfavorable ratings among Independents have increased by 20 points over the past two months, and Obama now leads him by 8 points in this crucial group. But it’s hard to find much evidence of that trend in Florida, a state whose voters have much more information about Romney, negative as well as positive, than they did two weeks ago, and far more than do voters nationally. Romney’s support among Floridians is identical now to what it was three months ago. Voters interviewed after his defeat in South Carolina viewed him just as favorably as did those interviewed before that contest. And even nationally, adults interviewed in the most recent NBC/Wall Street Journal survey give Romney exactly the same share of the vote as they did last November (or last June, for that matter). As of now, anyway, Romney may be bruised, but the primary fight has not administered anything like a knockout blow to his general election prospects. The other side of the conventional wisdom is that Obama enters 2012 in a strengthened position. There’s something to this: Many key indicators have risen measurably from the lows they reached last fall. For example, the NBC/WSJ poll found that 30 percent of Americans think the country is on the right track, up from only 17 percent in October. But that increase just takes us back to the split that prevailed in June of 2011. This is something of a pattern for Obama. His job approval is up 4 points since October but only stands where it was last June. The same is true for his personal favorability ratings. Approval of his handling of the economy stands at 45 percent—exactly where it was last April. And so on. Against Romney, however, the race becomes much tougher. For example, while 47 percent of the people think that Obama is more competent than Romney, 47 percent think that Romney is more competent than Obama. And Obama’s job approval has not yet reached the level consistent with a general election victory. Most important, the economic horizon for 2012 has darkened. The Federal Reserve Board, OECD, and the World Bank all predict slowing global growth, which is bound to dampen an export-led recovery in the United States. And the fourth quarter report issued on January 27 wasn’t exactly a blockbuster. GDP rose at an annual rate of 2.8 percent (a bit below expectations), but final demand rose by only 0.9 percent while inventories swelled. Consumer spending outpaced growth in disposable income, meaning that households spent more only by saving less. This can’t continue indefinitely: Over the past year, real actual tax incomes actually fell by 0.1 percent. Meanwhile, business investment grew at the slowest pace in two years. And as the Fed recently noted, the modest growth predicted for 2012 would not be enough to reduce unemployment significantly from current levels. The Obama campaign would like to frame the 2012 election as a choice between two visions for the country. It’s not hard to see why. If the election is a referendum on the economy rather than a choice between candidates and ideologies, the evidence suggests that it would be a tough, hard-fought race decided by a margin narrower than the one Obama received in 2008. It also suggests that if the economy underperforms over the next three quarters, the incumbent could end up on the losing side. Postscript. This morning, Gallup released the latest in its series of polls focused on twelve swing states—Colorado, Florida, Iowa, Michigan, Nevada, New Hampshire, New Mexico, North Carolina, Ohio, Pennsylvania, Virginia, and Wisconsin. Three results stand out. (1) President Obama blows out Newt Gingrich by 14 points in those states (and 12 points nationally). There is no credible evidence that Gingrich would be competitive with the president, let alone a stronger challenger than Romney. (2) Obama and Romney are statistically tied: it’s Romney 48, Obama 47 in the swing states and 48-48 nationally. And most important, (3): despite changes in the political environment, a more aggressive stance by the president, and the emergence of less than flattering information about Mitt Romney, the Obama-Romney contest hasn’t moved much in many months. Last October, for example, Romney led Obama 47-46 in the swing states. Since last August, Obama’s national support has moved in a narrow range between 46 and 48 percent; Romney’s, between 46 and 49 percent. This evidence supports the thesis that the 2012 presidential election will be hard-fought and close—unless there’s significant shift in the trajectory of the economy. William Galston is a senior fellow at the Brookings Institution and a contributing editor at The New Republic.